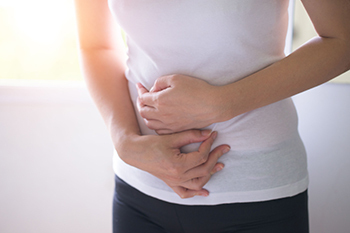 New research by Birmingham City University highlights the long delays women face in receiving a diagnosis for endometriosis, as well as the cycle of often ineffective treatment options available to manage the illness. The research, led by Professor Elaine Denny and Dr Annalise Weckesser – both based in the University’s Faculty of Health, Education and Life Sciences – explored women’s experiences with medical treatments for endometriosis symptoms and how willing they were to try further treatments. The study also assessed how women’s experiences of treatments impacted upon their motivation to take part in a clinical trial, ‘Preventing Recurrence of Endometriosis by Means of Long Acting Progestogen Therapy’. Endometriosis is a condition where the tissue that lines the womb is found outside of the womb. The condition is a chronic cause of pelvic pain and many sufferers experience extreme discomfort, fatigue and infertility. Despite this, a survey by Endometriosis UK revealed that women often live with the condition for an average of seven and a half years before receiving a diagnosis and report going through cycles of ineffective treatment options with unpleasant side effects. A qualitative approach was taken to the new study which saw women aged 19 to 36 interviewed about their experiences of endometriosis diagnosis and treatment, how the illness affects their lives and their willingness to try different treatment options. Each of the women had experienced at least one treatment for endometriosis previously. Women reported how the illness had made day-to-day tasks “unbearable” and some felt that the illness contributed to the breakdown of relationships. A number of women spoke of being dismissed or not taken seriously and being misdiagnosed. The study revealed that no one treatment option was found to be more or less acceptable to participants. Current life circumstances, particularly in relation to having children, influenced how acceptable treatments were deemed as some treatments also act as contraceptives. Previous experiences of treatments, how effective they were and their side effects also had an impact, and some women reported enrolling in the trial out of “desperation” and a willingness to “try anything” to manage the condition. Other women, however, were sceptical of trying certain treatments due to either their own past experiences of them or to the experiences of friends or family who had tried the treatment. Dr Annalise Weckesser explained: “It’s estimated that 10 per cent of women worldwide suffer from endometriosis, and it can take years from the onset of symptoms to receive a diagnosis. “Many women suffering from the condition feel desperate to stop it from taking over their lives, but with no known cause and no definite cure, they end up trying a number of treatments often with little success. This study shows that previous experience of treatments, whether they have worked or not and whether they brought on unpleasant side effects, makes a big difference to how willing women are to try future treatments. This has important implications for clinical practice and how particular treatments are selected. The study has been published in the journal Pilot and Feasibility Studies. Find out more about the Faculty of Health, Education and Life Sciences on the University’s website.